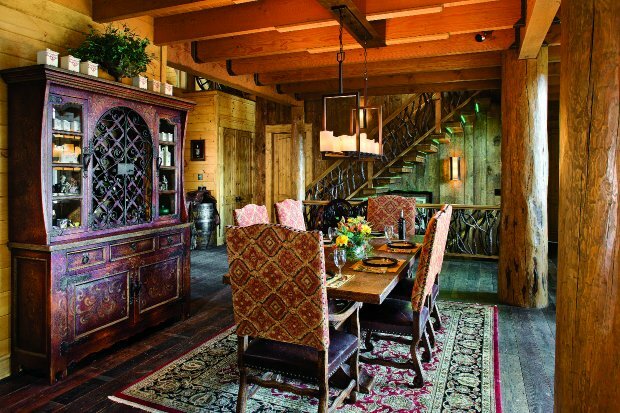 Chuck and Mary Bliss chose to build their second home of 7400 square feet in the Leatherwood Mountains of North Carolina, near Wilkesboro, Blowing Rock, and Boone. 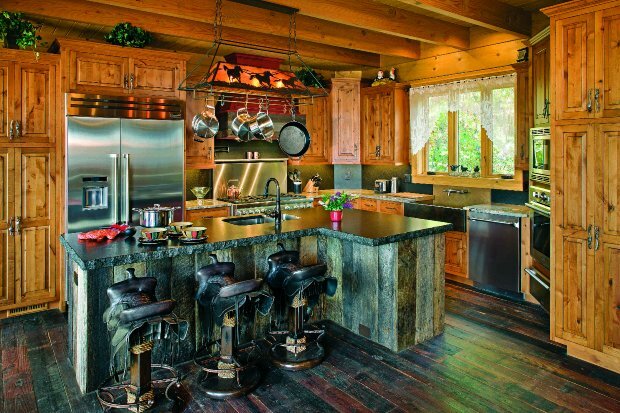 Their goal was to create a unique home with great attention to detail, and to pay careful attention to environmental factors including sourcing local materials and using local craftsmen, as well as incorporating energy efficient systems as much as possible. 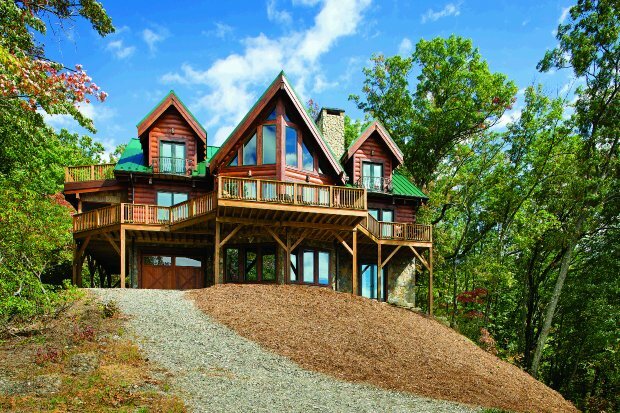 The couple bought a 15-acre parcel eyeing the distant Blue Ridge Mountains. 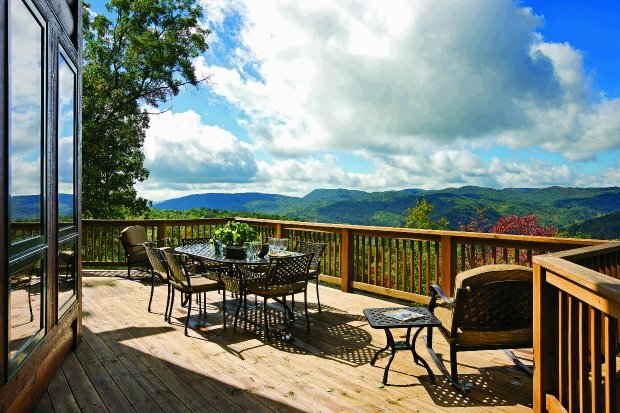 “The heavily forested land provides complete privacy from neighboring lots, but, with proper siting and selective clearing, the mountain views are spectacular,” Chuck points out…. The garden is accessed from a top-floor guest bedroom. A timber frame supports the garden roof, which is lined with a waterproof membrane and filled with a lightweight soil mix. Irrigation and drainage systems are built into the garden, which can host plant species with a root depth of one foot…. 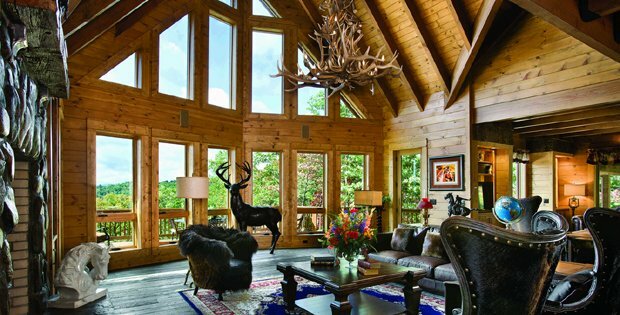 The couple’s priority was a home with minimal visual disruptions, keeping nature the center of attention… Mary explains, “Chuck and I wanted to bring the outdoors in, with expanses of glass that capture the view.” To this end, the great room was enhanced with a prow gable to allow an increased radius of views from where the homeowners and guests spend the most time…. Chuck and Mary also made purchasing American-made products a high priority. “If the Blisses found an international product that they liked, they would ask for comparisons in America and almost always make a decision towards the American-made product,” Napier notes.